Thomas Newtown Bryson was born on February 5, 1894, in the community of Cullasaja in Macon County, N.C., to John Turner and Martha Jane Deal Bryson. By 1910, the Bryson family was living in Ellijay Township in Macon County, N.C., where John Bryson worked as a farmer. Thomas Bryson worked for his father on the farm at this time. At the time of his draft registration for World War I, Thomas Bryson was working to support his parents on the family farm. 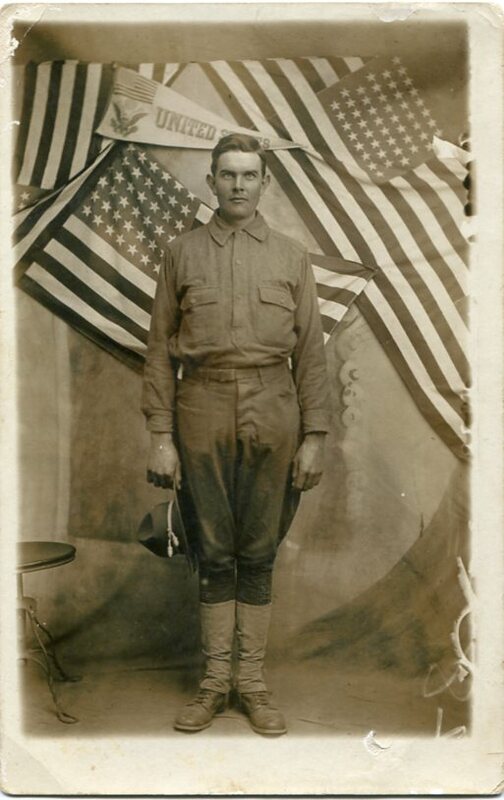 Thomas Bryson was inducted into military service for WWI on September 18, 1917, in Franklinton, N.C. He was assigned in the U.S. Army to Headquarters Company, 316th Field Artillery, 81st Division, in which he served until October 16, 1917. On that date, he was transferred to Company G, 119th Infantry, 30th Division, in which unit he remained until his discharge. Bryson was stationed at Camp Jackson, S.C., while with the 119th Infantry. 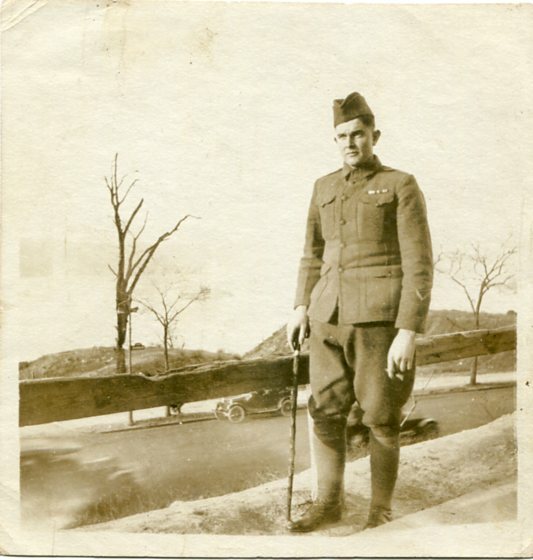 Bryson entered with the rank of Private, and was promoted to Private First Class on May 1, 1918. 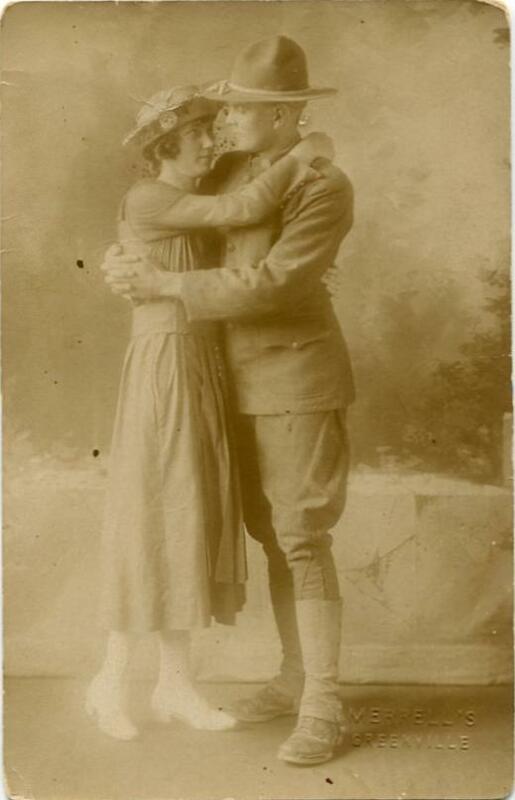 Before heading overseas to Europe, Thomas Bryson married Ethel Leona Evans (who went by “Leona”) on February 8, 1918, in Macon County, when she was 18 years old and he was 24 years old. Bryson’s unit left the United States for Europe in WWI on May 11, 1918. He was involved in the Battle of St. Quentin Canal in France, and was severely injured in battle on September 29, 1918. He would walk with a cane for a while after the injury. Bryson recuperated overseas until December 1918, when he left Europe for the United States and arrived back in the country on December 23. Thomas Bryson was honorably discharged on July 7, 1919, at which time he was reported as 15% disabled (though his injuries appear to have been worse). After the war by 1920, Thomas Bryson and his wife Leona had moved to Raleigh, N.C., where had a new job (which is unclear as to what he did at this point). By 1930, Bryson was living in Raleigh, working as a mail clerk for the Raleigh U.S. Post Office. The couple had four children ages 10 and under by now. He remained working for the Post Office in the 1930s apparently. Bryson worked for the U.S. Post Office in Raleigh through the early 1950s, by which time he was a night supervisor. Thomas and Leona Bryson were divorced by 1941. Thomas N. Bryson died on October 16, 1953, in Raleigh, N.C., and buried in Salem Cemetery in Macon County, N.C.
James Elbert Bryson (who went by “Elbert”) was born on March 30, 1888, in the community of Cullasaja in Macon County, N.C., to John Turner and Martha Jane Deal Bryson. By 1910, the Bryson family was living in Ellijay Township in Macon County, N.C., where John Bryson worked as a farmer. James Bryson worked for his father on the farm at this time. At the age of 30, Bryson was inducted into military service for World War I on July 5, 1918, in the town of Franklin in Macon County. Bryson was assigned to Instruction Company 5 in the U.S. Army Medical Department at Camp Greenleaf, Georgia, where there was the Army Medical Officers Training Camp. He remained there until August 6, 1918, when he was transferred to the Army Medical Department’s post hospital at Fort Logan H. Roots in Arkansas. Fort Roots was an Army base which converted the military barracks to handle patients from the outbreak of the Spanish Influenza pandemic in 1918. James Bryson appears to have been there at that time. 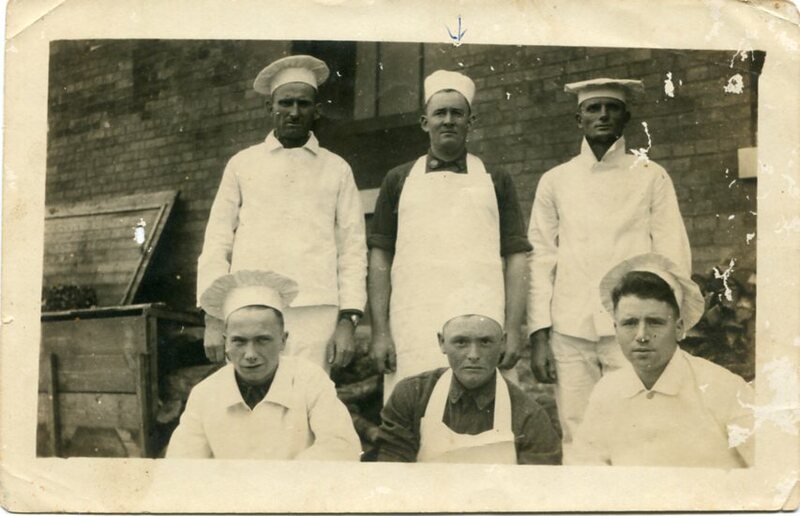 Bryson worked as a cook during the war. Bryson held the rank of Private for his entire military career. Having never served overseas in Europe in WWI, James Bryson was honorably discharged on March 12, 1919. After the war by 1920, Bryson had returned to live with his parents in Macon County, where he took care of the family farm and his parents while his brother Thomas had moved to Raleigh, N.C. He never married, and remained a farmer in Macon County for the rest of his life. 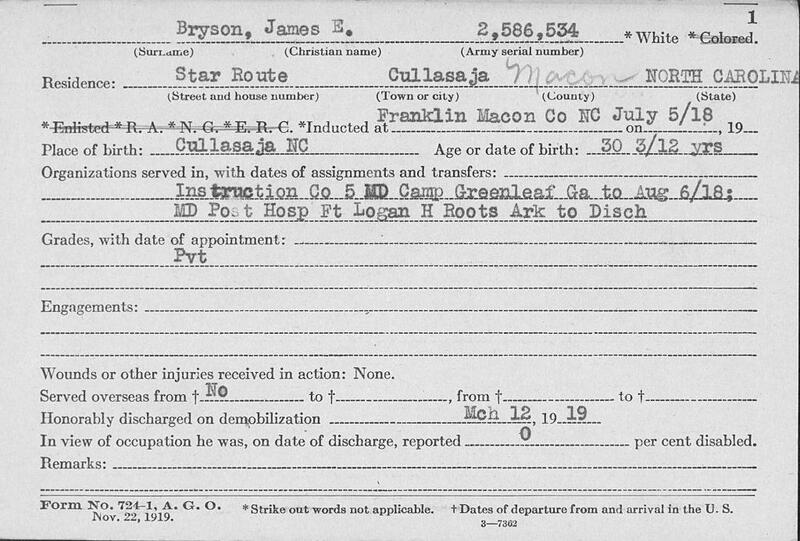 James E. Bryson died on June 10, 1962, of bronchial pneumonia, and was buried in Salem Cemetery in Macon County, N.C.
To view the Brysons’ WWI photographs, check out the album of photographs on the State Archives of North Carolina’s Flickr page. Check out the photographs in the Thomas N. Bryson Photographs (WWI 116) in-person in the WWI Papers of the Military Collection at the State Archives of North Carolina in Raleigh, N.C.